Friends sell arts and crafts such as paintings and woodwork to raise money for the charity Team Fox Argentina. Proceeds will help others in both Mar del Plata and Buenos Aires. Taylor Dewey cycles the perimeter of Iceland to raise money for the Michael J Fox Foundation. He will cycle more than 850 miles in eight days, camping along the way, while enjoying spectacular scenery and almost 20 daylight hours each day. A team of mountaineers are set to climb Mount Etna in Sicily, Italy, on the sixth of the “10 Mountains 10 Years” project in aid of Parkinson’s and Alzheimer’s diseases. The Braintalk initiative at University College Cork, Ireland, holds an ‘Exploring Parkinson’s with Art’ workshop in the Glucksman gallery, where people with Parkinson’s and their family members can use mixed media to explore and express their experiences of the disease. 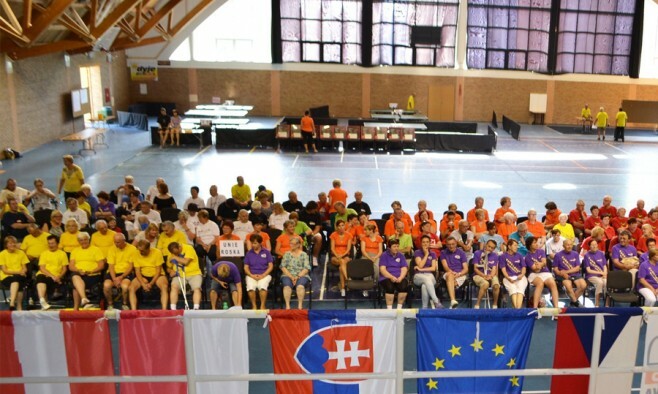 The 8th annual Parkinsoniada games in Czech Republic features players from countries including the Czech Republic, Slovakia, Austria and Poland competing across 10 events, including table tennis, throwing, hockey, soccer, curling and bowling.